The European Regions Airlines Association returned to sunny Athens this month for its annual general assembly. Considerably bolstered these past five years by the energetic and approachable leadership of newly-departed director-general Simon McNamara and president Boert Kreiken, this gathering heralded the onset of a new chapter for the 37-year old organisation. McNamara is now director of communications at Flybe and Kreiken has checked out as CEO of KLM CityHopper for a new customer-interfacing role at big KLM. 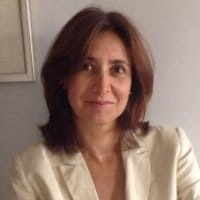 A new director-general, Spanish born Montserrat Barriga, who brings with her a solid background in airline industry affairs at Binter, has taken over the DG role as of 1 November and is moving to the UK. The association will remain at its HQ in Lightwater, Surrey. 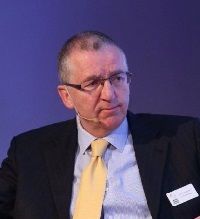 Supporting her as ERA president is newly-elected Andrew Kelly, from Ireland’s ASL Airlines, an expanding cargo operator, also bringing a fresh perspective. 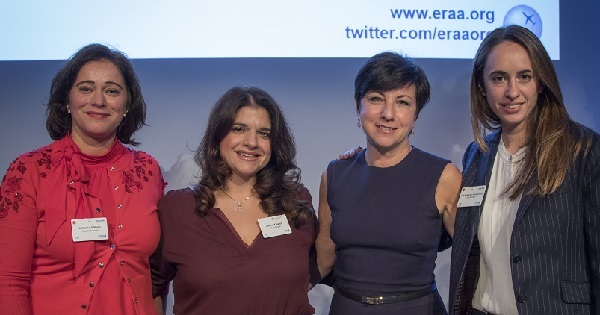 While Barriga did not speak publicly at GA17, she will have observed a lot about how ERA, now regarded widely as Europe’s most effective aviation association, engages with its members. There has been a lot of retracting and consolidation in Europe of late and just ahead of the Athens gathering Airbus confirmed its intention to take a 50% share in the Bombardier C Series, rapidly revising its opinion on the market potential for the sub-150-seat regional jet. The industry is also reeling from three significant airline failures – Monarch Airlines, Air Berlin (which operated its last commercial flight as ERA gathered) and Alitalia (unless something miraculous happens). According to JLS Consulting director John Strickland, presenting an industry overview on the opening day, others also face uncertainty. Fuel prices remain low, resulting in a double-edged sword for operators, who have made cost savings, but with lower yields, he went on. Competition shows no sign of slowing from the low-cost carriers including Ryanair, Wizz Air and easyJet who continue to expand their fleets, widen their coverage at major airports and contribute to yield pressures. Strickland also pointed out Turkey is making a remarkable comeback, creating over-capacity in the western Mediterranean. And there is great uncertainty over the ‘B’ word and the numerous implications that it will bring – from exchange rates affecting demand and costs to AOC/licensing issues and traffic-rights uncertainty. No wonder more and more ERA member airlines are choosing to focus more on ACMI and wet-lease work, versus scheduled activity. CityJet of Ireland is doing more such activity now and chairman Pat Byrne is confident he will have the SuperJet SSJ100 operating out of London City Airport by 2019. 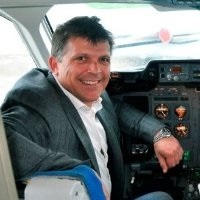 Jota Aviation, whose CEO Andy Green, is also newly elected to the ERA board, highlighted that increasing demand for ACMI and ad hoc charters from both legacy and regional carriers for its expanded BAE/Avro RJ fleet was serving his London Southend Airport-based business well. 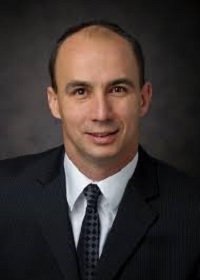 But just as inspirational motivational speaker Nick Jankel highlighted on the Thursday morning, companies and individuals in any sector must refresh and reinvent themselves to keep up with the changing environment. All industries are being disrupted by the digital world and waves of automation and air transport is no different, he said. His advice is for leaders to ‘Switch On’, engage and embrace change. Today, ERA embraces 51 airlines which fly a collective 1,100 routes, performing 1.1m flights a year. Combined, they operate a 661-strong fleet – 51% turboprop and 49% jet. The average configuration is 73 seats. Complementing them are associate members – 22 airports, 10 manufacturers and 106 suppliers, who generate 275,000 direct and indirect jobs, contributing €52bn to Europe’s GDP. However, failure to embrace new business models and the expanding supplier base that supports them would be to risk what has happened at its counterpart US Regional Airline Association, which has seen its airline membership drop to just 23 airlines. At its press briefing, Embraer Aircraft confirmed it was in dialogue with 25 airlines to determine whether it should progress with a ‘new’ turboprop aircraft and what size it should be. The hot money is on a larger, rather than smaller aircraft. Earlier, Pratt & Whitney Canada, boasting it has “an engine for all seasons”, highlighted the work it was doing on a ‘new advanced turboprop’ in the 4,000-7,000shp class, for the 90- to 100-seater. According to VP sales and marketing Frederic Lefebvre, compressor tests completed in 2016 were very successful and P&WC intends to work with partners such as MTU. In a major strategy shift, Wideroe of Norway is moving into regional jets and will receive the first of 15 Embraer E190-E2s next April. However, it still operates a handful of Dash 8-100s (no longer in production) on short routes in Norway, some no longer than 20min. CEO Stein Nilsen said the company had another ten years with these aircraft, and by that time he would expect a replacement to be powered by a hybrid/electric powered powerplant. He highlighted that Norway’s government is making provision to help to fund such technology and the country wants to be a pioneer in the field. Investment in a ‘clean sheet’ 30-seater is going to be hugely expensive, says AeroCentury president Michael Magnusson, long time former president of Saab Aircraft, and just as expensive to develop as a 90-seater, but he and many others recognise there is a big gap in the market now at fewer than 40 seats. Mark Darby, CEO of Aurigny, has just introduced the all new RUAG Dornier 228, but says they are proving expensive to operate. He would like to see a clean-sheet 19-seater for isolated communities, PSO routes and as a pathfinder for new routes. Connectivity and access are crucial, he says. And this is where the new ‘airline subscription models’ are starting to blend, I suggest. These new models are coming up from the business aviation sector because the driving entrepreneurs are mainly outside the confines of the traditional regional airline. 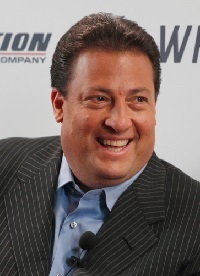 Last month at NBAA in Las Vegas, Kenny Dichter, the founder and visionary behind Wheels Up, said what he really wanted is a larger Beechcraft King Air 350i. He has built up a business, akin to a commuter airline, with now 4,000 members and a fleet of 80 King Airs (all managed under the AOC of Gama Aviation.) He says he is six months to a year away from coming to the UK. Surf Air, also originated in the US, is already flying scheduled airline subscription services from Luton to Zurich, Cannes and Ibiza (flying from the smart Signature Flight Support FBO private terminal) with Embraer Phenom 300s operated by Flexjet-owned FlairJet. Next year, it intends to widen the service out with Pilatus PC-12 turboprops, taking in routes like Edinburgh, bringing a new generation of travellers, blending business and regional aviation (just as Nick Jankel said in his address, millennials prefer to spend their money on a smart phone and air travel, versus a car). There was a double celebration for London City Airport in the ERA airline awards this year, scooping Airport of the Year to coincide with its 30th birthday and seeing its latest airline customer TAP Express (formerly Portugalia) collect the Gold Airline of the Year accolade. Yesterday (Sunday),TAP Express commenced regular flights between London City and Lisbon, an especially pleasing result for 30-year LCY sales director Bernard Lavelle, who has just departed the airport, having seen passenger numbers expand from fewer than 100,000 to 4.5m today. The Silver Award went to regional carrier Blue Air of Bucharest, Romania (which also flies to Liverpool Airport). Bronze went to SAS/Scandinavian Airline Systems for its new regional airline combine). ERA in 2018 meets in Vienna for its spring meeting 18-19 April. The General Assembly returns to Edinburgh on 9-11 October.